How Far is Qualcon Waters Edge? Enjoy staying at riverside luxury apartments. No need to compromise for anything to buy home at QuaIcon's Water's Edge at Vaje, New Panvel. All apartments designed around you and all that you value in your life. With a choice of amenities to fill your leisure moments, and a construction excellence to fullfill your demand for appreciation. Qualcon's Water's Edge is one of the best ever project planned in Vaje, New Panvel. 100 spacious apartments specially designed for your comfortable living. These are low budget apartments with high class amenities. Qualcon understands the dream of an owning home, the reason why the group strives towards to provide the budget-friendly home to the people. Qualcon stands on the foundation of quality construction. The simple and minimalistic process is the motto of Qualcon. Got Years of experience in the real estate industry till now the company has built many projects in different cities like Mumbai and Navi Mumbai. With many years of experience, Qualcon is able to provide a superior quality home and a holistic living experience to the clients with this Qualcon makes sure the process of buying a home is hassle-free and smooth from booking of a home till the possession. Qualcon Greenwood Estate Phase II is an example of amazing work done by the Qualcon. 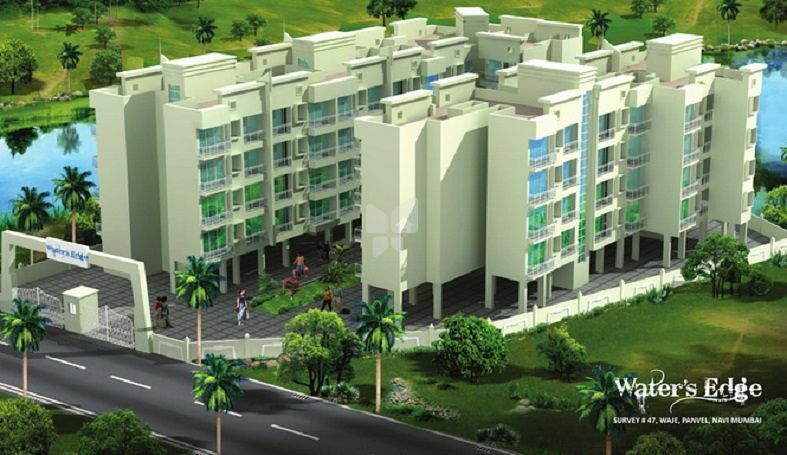 The project is located in Taloja, Navi Mumbai. Many projects have been crafted by Qualcon some of them are Qualcon Amora Homes, Qualcon Patel Residency, Qualcon Royal Ozone in New Panvel and Qualcon Harmony 2 in Kharghar at Navi Mumbai and in addition to this some projects are located in Mumbai too, namely, Qualcon Altamonte in Neral, Qualcon Greens in Karjat and the list goes on. We swear by our values. We are bounded by honesty, integrity, transparency and accountability. While we mention them, we also make sure that our values reflect in all the transactions that we do with any of the stakeholders of Qualcon. We believe in creating everlasting relationship and what can be better than establishing the path through values.